APACHE burden baskets are made from available materials such as willow or sumac. 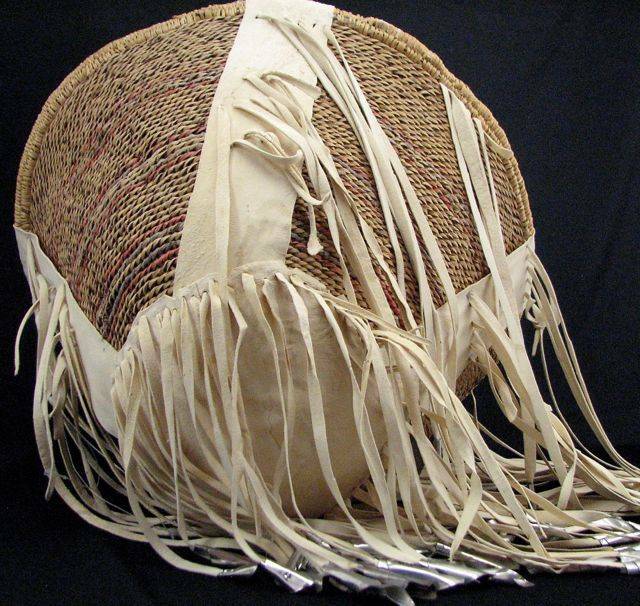 Since the Apaches were once nomadic hunters and gatherers, the women wove these baskets to carry firewood, roots and berries. The tassels were made from deer or cow skin, mainly for ceremonial or decorative uses. Two of the theories why the "tinkling" tin was placed on the tassels are: to warn snakes away while gathering, or for a son-in-law to show respect by getting out of his mother-in-law's way!